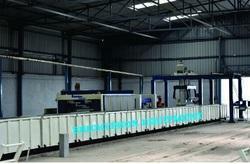 We are acclaimed in the market for manufacturing an innovative range of Semi Automatic Fly Ash Brick Machine. 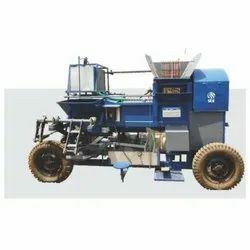 These machines are suitable to be used for processing all kinds of material like iron oxide, fly ash, bricks, lime sludge, quarry waste and concrete. Interlocking Bricks and fly ash brick manufacturing machine with good condition.It have Haydraulic press and works on PLC programme.The machine have oil tank of 100 Litre capacity and Electric Control panel.